Congratulations! Not an easy thing to land. This is terrific – congratulations! The magazine looks spectacular and your piece is lovely. 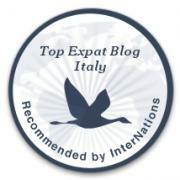 You have done a really great job selling me on Sardinia travel, and also were a great example for what a Destination blog should be (which is what my half-expat, half-travel blog is shaping up as, more and more). Congrats on getting published. Did you write the second article on Sardina also ? No, just the article about Tinnari. Congrats again. How are things going back in Canada? Are you back in Niagara? This article was just what I was looking for. We are visiting Sardinia for a weeks holiday and look forward to discovering some beautiful beaches. Any other must see suggestions? We will be staying in the south of the island. Congratulations! What an honor!! So happy for you!! Congratulations and best wishes! I have always told you that you are amazing! How is life in Canada going? Miss you but will always keep in touch! May God Bless! Happy Easter! Congratulations!!!! 🙂 Hopefully man more articles to come! Yeahh!!!! Well done, so pleased for you.